CLA76 has 2 modes, Bluey (Rev B) and Blacky (Rev D-LN). Blacky sounds better to me 95% of the time. CLA76 has two noise options, which I don’t personally find useful at all. CLA76 ‘no compression’ mode still applies the transformer coloration, Black76 does not, unfortunately. Maybe a bug? Black76 layout seems cluttered. The compression off button seems to have been randomly placed. In the end it comes down to the sound. For me the T-Racks version just reacts in a way that feels right, and the CLA version is just “close enough”. I think possibly the reason I prefer one over the other is the different attack and release times, The CLA attack is 50 microseconds to 1 millisecond and release is 50 millisecond to 1 second. This is still faster than most but slower than the T-RackS version, which matches the numbers on Wikipedia FWIW. When you crank the attack all the way and it doesn’t smack the transients like you expect, then there’s not much you can do. I just thought of another thing, in ALL mode on the CLA, the metering works correctly, as in it shows Gain reduction. The real hardware doesn’t know what to do, the metering is just broken in this mode, and the T-Racks Black 76 emulated this quirk also. Just like it should be. T-RackS White 2A is modelled on the Teletronix LA-2A Leveling Amplifier. The LA-2A is tube driven opto compressor and the first compressor to use photo resistors and luminescent panels to achieve gain reduction. The T4A or T4B module used in the LA-2A had light sensitive resistors attached to a small plate that glows when a voltage is applied. A louder signal equals higher voltage making the plate glow brighter. This in turn increased the resistance applied by the photoresistor turning the signal down. This unique circuit creates a very smooth and transparent compression. Ratios, attack and release are all program dependent, meaning that the circuit reacts differently depending on the volume and transients of the input signal. While the 2A does not have variable ratios, the Limit/Compress switch alters the curve and the way the circuit reacts. This is hard to hear until you get to about 4-7dB of gain reduction. Some transients may just barely get through before limiting kicks in which results in a sort of accented attack that might be undesirable. One of the great things about the LA-2A design is how easy it is to use. There’s no threshold control to set, just turn up the Peak reduction control and bring up the makeup gain. Sometimes it’s too slow for the particular sound you’re after but it never sounds bad. The metering on an LA-2A is slow, so keep that in mind as you use one, it may show 1dB GR, but you’re getting much more. The same can be said for most analog hardware. The GUI on the White 2A is nice and big, everything is easy to read and in a logical place. It works also well with Automap so I can get some hands on control. One of the advantages the T-RackS version has over competitors is the MS mode. Man is that awesome for drum overheads and rooms. The lack of sidechain, internal or external is the only real fault with the White 2A. Normally I wouldn’t care but the CLA-2A has the neat HiFREQ control which boosts the highs in the internal sidechain which makes the compression circuit pass more low frequencies. You don’t need it all the time but its a great feature to tweak and unique to the Waves version. In the last review I praised IK for streamlining the authorization process. Authorization of the T-RackS Singles is a little more complicated, unfortunately you can’t just get the demo and enter a code into authorization manager. First I downloaded the demo. Then I entered my my codes into the registration page. Next I went to the Multibox page where I had two T-Racks Singles available. From there I select which module I want and confirm. Now I have a second code and this one will work with authorization manager. But hey, at least theres no dongle. Do these sound just like the original hardware? I really don’t know or care much, they’re definitely close. All I know is they are incredibly useful and great sounding effects. The 76 adds punch to drums and slam my room mics in a way the rubs me real nicely. The 2A smoothly evens out vocals and bass guitar and when used in MS mode is incredible for drum overheads and rooms. Used together you can get some really transparent or really aggressive and gritty compression. Between these two and the Vintage Comp 670 (Fairchild) or Opto in the deluxe bundle, I have basically all the compressors I’ll ever need in a mix. 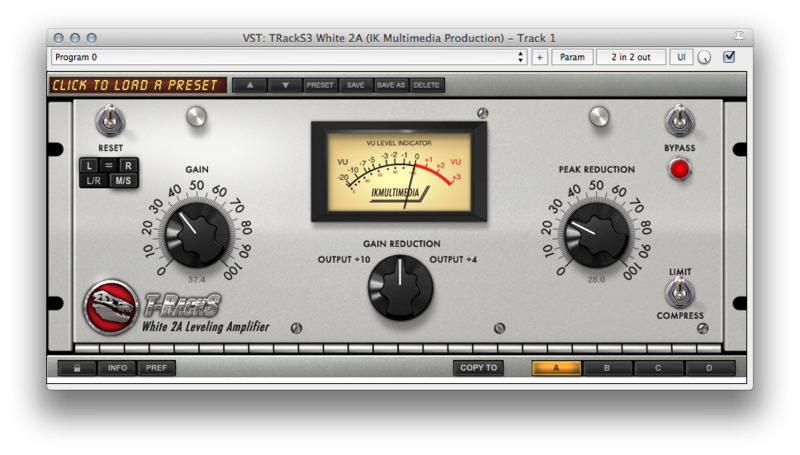 On the other hand, you can never have too many great compressors. I love using the 76 in parallel on kick and snare and just hammering them. The smack you get is awesome. I used to a/b it with the pro tools bombfactory but I don’t even bother anymore, the TRacks almost always sounds better. Great review Jon, thanks! Based on this and many other reviews I gave in and bought the entire T-Racks Deluxe package with the free White 2A and Black 76 for $99. Insane deal. I’ve spent a few hours A/B’ing my compressors on my different types of voice over reads to see how usable they were. My conclusion was: White 2A on slower, warmer, narrative reads. Black 76 on aggressive, high energy, highly dynamic/transient based, fast reads. And my trusty Waves Ren Compressor for the most transparent and clear compression. Couldn’t get the T-racks Opto compressor to work well on my voice over but I’ll revisit it. 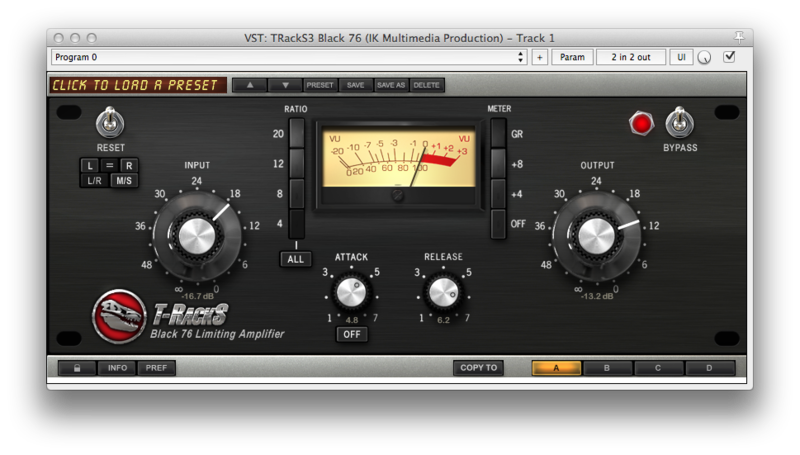 I also preferred the sound of EQ boosts in my voice over chain of the T-Racks Classic Compressor over the Waves Ren EQ. Can’t wait to use the T-racks package for music mixing and mastering!